M&H Valve and McWane, your trusted provider of guaranteed American-made products, committed to American workers and American Industry. 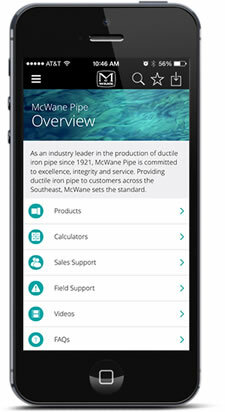 McWane is the nation’s leading manufacturer of ductile iron pipe and fittings, soil pipe and fittings, valves, hydrants, couplings, and drains, and has been recognized as an innovator in protecting the environment and the health and safety of our team members. McWane is committed to American industry, investing hundreds of millions of dollars to modernize our United States plants and make them safe, efficient and compliant, thus preserving thousands of well-paying American jobs and the futures of many communities at a time when many of our competitors have moved their manufacturing overseas or elected to import foreign products at the expense of American jobs. The company employs more than 4,000 United States workers who focus on the safe and sustainable manufacture of products that provide the backbone of vital water distribution and wastewater treatment systems across North America, dependably providing the United States with clean drinking water. McWane remains committed to American workers and American Industry.